Seniors who have been waiting for 5 years to return home to the Chicago Housing Authority’s Ralph J. Pomeroy Senior Apartments can now do so. The 9-story, 89-year-old landmark building at 1039 W. Hollywood Blvd. 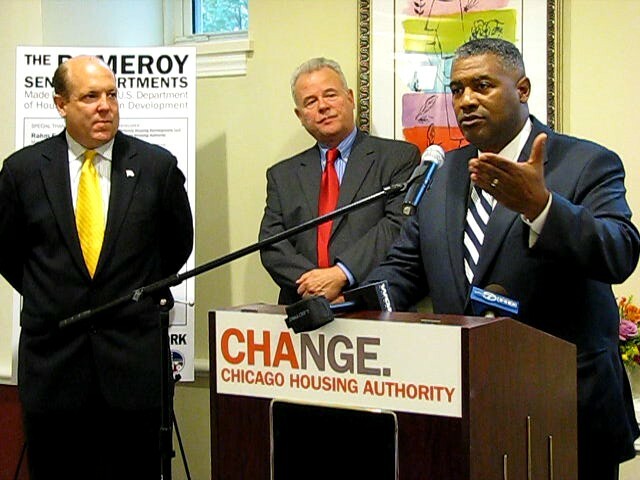 in the Edgewater neighborhood, which the CHA obtained in 1966, officially reopened yesterday after receiving a “$21 million makeover,” said CHA’s new CEO, Charles Woodyard, during the grand opening ceremony. Residents’ Journal reported in the fall of 2008 that many relocated seniors were eagerly waiting to return to the Pomeroy Apartments, which closed in the first quarter of 2006. You can read about it here:https://wethepeoplemedia.org/uncategorized/cha-seniors-keep-waiting-to-return-home/.